We hope you've marked your calendar to join in with our Zoey sew-along!! Today, we’re talking supplies, so you can gather what you need before we get started on March 16th. 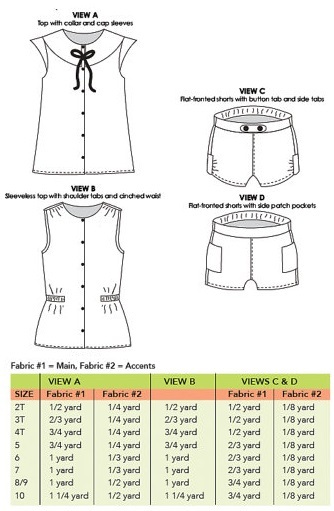 First and foremost, you will need the Zoey Summer Ensemble pattern. Remember, coupon code ZOEYSAL2015 gets you 30% off your entire order in the Modkid Etsy store. The coupon code expires on 3/13/15 at midnight EST. View A: (6) 3/8" buttons and 1/2 yard of 1/4"-wide ribbon or cording. 1/3 yard of lightweight fusible interfacing. View B: (6) 3/8" buttons, 1/2 yard of 1/2" wide non-roll elastic and 1 yard of 1/2" wide double-folded bias tape (purchased or make your own). I will be showing single fold bias tape in the sew-along, so if double-folded bias tape is difficult to find, there will be another option. View C: (2) 3/4" - 1" decorative buttons and 1/3 yard of 3/4"-wide non-roll elastic. View D: 1/3 yard of 3/4"-wide non-roll elastic. 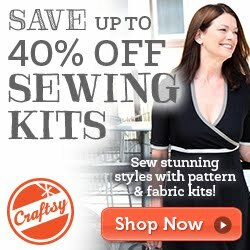 Additional options: lightweight fusible interfacing for buttonholes, snaps in lieu of buttons. Gather all your goods, and come back later this week to check out the schedule and prizes!